Have you known a blockchain ecosystem that gives complete lending solution> this is abut it. The loan platforms are emerging in the blockchain ecosystem as an accurate alternative to credit banking, as reliable and profitable tools for both their clients and lenders. In addition, blockchain’s transparency, security and speed allow loans to be issued quickly and generating trust between the parties involved. A new decentralized application called Lend is using the blockchain technology for this purpose, operating on the Ethereum network and being of P2P structure. They are currently developing a global market of borrowers and lenders , transparently and without recognizing geographical or economic boundaries, using their own interest rates regardless of the country in which the participants are located. In addition, it allows users to participate without opting for a credit rating imposed by a centralized institution. The team consists of people working with this objective and, unlike most blockchain projects, it was already presented (along with its white paper, which details the importance of its platform for the credit industry) the alpha version of the platform last May and is currently working so that anyone who wishes to apply for or grant loans can do so. The entire process begins with the Initial Coin Offering campaign where the TLN Tokens will be put out for sale. The users who buy these tokens will receive an exclusive membership on the Tokenlend P2P platform. Using this membership, users will have the power to invest funds from their account into any of the available loan listed on the Tokenlend P2P platform. Not only that, the token holders will also receive a fixed share of the company’s profits from all its operations including lending, currency conversion, funds withdrawal, loan listing, etc. The fact that the token holders receive fixed profits on a regular basis makes it ideal for the users to buy the tokens. The Initial Coin Offering campaign sparks of processes that ensure a smooth and legitimate loan transaction. Side Note: The TLN Tokens can also be traded outside of the Tokenlend platform as they are ERC-20 Tokens, which means they have an inherent value on exchanges. This gives the users a flexibility to use the TLN Tokens according to their will. The European P2P lending market has been growing at a significant rate, and business analysts believe that major European nations will greatly benefit from these common lending platforms. Tokenlend is the frontrunner in providing a universally accessible, decentralized lending platform. In the international finance landscape, users are looking to invest on proposals that guarantee a consistent return on investments. On the other hand, loan seekers look for platforms with a simple and user-friendly system to get loans for their businesses. The problem lies in getting these two parties under the same roof, so to speak. Tokenlend does exactly that-providing an effective platform to bring the contributors and loan seekers together for their mutual benefit. For the loan originators, the P2P lending platform is a modern and effective alternative to the traditional banking system. Only the ignorance can be the reason for loan seekers to still look towards government bodies and financial institutions for loans. The blockchain technology has made the loan lending system an ideal one, just like it has done with all the other financial domains. The objective is to provide a transparent and global loan market . Erasing the differences in interest rates between countries. Providing more liquidity to the local loan markets . It solves the main problems related to collateral, the decentralized credit rating and the risks of exchange volatility, which makes the concept of decentralized loan experience possible. The team is formed by 20 people who share the same objective, which differs from most Blockchain ventures since the team presented its alpha version at the beginning of May of this year. On the basis of the practical results, the detailed White Paper on how decentralized loans could permanently revolutionize the credit industry was drafted . While the decentralized application continues to be developed, the team revealed details about the next pre-sale of tokens. Tokenlend strives to help users across the globe make profits by lending funds with fewer risks and hassles. We believe that by using blockchain technology, we can make the lending process easier and cheaper to use without the bureaucracy of traditional banking services. Traditional banking products and services are archaic and slow due to all their red tape and paperwork. In a world of cross-continental currency transfers, decentralised databases and smart contracts, people are still limited by their geographical location and residency. Different legislations, currencies and complex taxation make business activities more complicated than it should and could be. The lack of integration between financial services force people to deal with numerous middleman institutions with their own verification policies, fees and limits. This can turn a seemingly simple operation into a massive headache. The idea for TokenLend resulted from a culmination of our investment experience as well as our vast experience in software development. Our goal is to build a robust and reliable ecosystem that provides a complete fund lending service for all parties involved. TokenLend will give anyone across the globe the ability to invest in real estate secured loans using various crypto and fiat currencies. Our platform will remove the uncertainties which small investors normally face by helping them build a secured loan based investment portfolio that delivers a competitive, predictable and consistent return. The platform will contain a list of carefully selected and pre-checked secured loans available for investment. TokenLend will only accept loans from trusted EU loan originators. The presence of a legal entity as a counter party will allow us to take necessary measures in advance to receive timely payments by the lender and the mitigate the risk of default. TokenLend personnel will re-validate information received by the loan originator, including the borrower’s personal details, pledge information, appraisal and LTV ratio. Loans will only be listed on the platform if they meet TokenLend’s the stringent loan selection criteria. All transactions will be performed by sending TLN from one address to another. The LPNs will be considered sold once the TLN transaction is confirmed by Ethereum network and at which point the LPNs’ owner is changed automatically. The users who buy these tokens will receive an exclusive membership on the Tokenlend P2P platform. 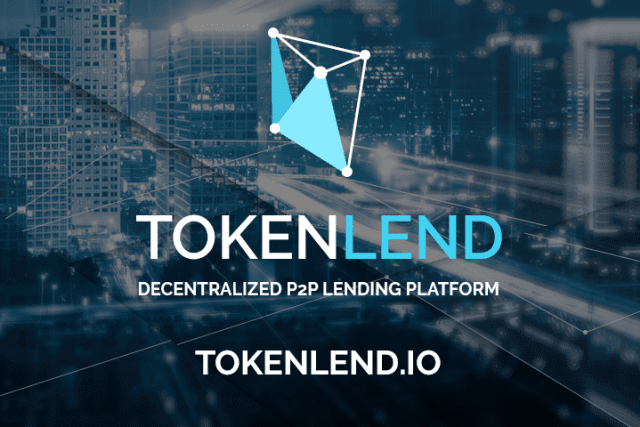 Using this membership, users will have the power to invest funds from their account into any of the available loan listed on the Tokenlend P2P platform. Not only that, the token holders will also receive a fixed share of the company’s profits from all its operations including lending, currency conversion, funds withdrawal, loan listing, etc. The fact that the token holders receive fixed profits on a regular the basis makes it ideal for the users to buy the tokens.